January 7, 2010: We're back in Brynewood Park! This wonderful neighborhood keeps drawing us back, this will be the 4th home we've renovated in this neighborhood. This home has a great floorplan, but is outdated and in need of a facelift. We're giong to do away with the Mansared roof (that hangs over the front) and update the look of this home. It will get new windows as well. This home has 4 bedrooms and 3 baths with a den with wet bar in the basement. The home has a great backyard for entertaining with a deck over a brick patio. This home will be ready in late February or early March. UPDATE: March 2010 - Renovations Complete! 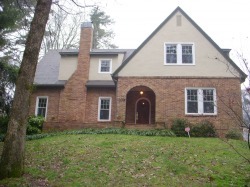 For more information about purchasing this home you can contact us via our Contact Us page or you may call Karen Riede with Chattanooga Real Estate Consultants at 423-322-8525 or 423-894-3050. December 27, 2009: We're ringing in the new year with another home to renovate! 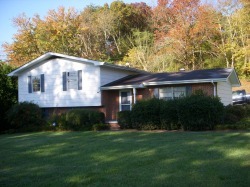 This home is in a great location near 1-53 off of Gadd Road in the Oak Hills subdivision. It has a great floorplan, but desperately needs some updating. We're going to update the exterior with new vinyl siding, windows & a roof! We'll move to the inside and update the kitchen & baths with lots of tile. This home should be ready in February! December 21, 2009: We have a Christmas special. Another new home to renovate. 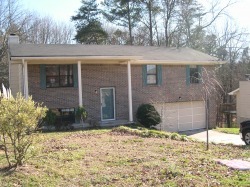 This home is located off Ely Road in Hixson and will make a great home for someone this new year. It features 3 bedrooms, 2 baths, a den, sunroom and level fenced back yard. This home needs some updating and a new floorplan, but it will be perfect when we are finished with it. N. Hickory Valley Renovation Complete! November 30, 2009: This home is ready for a new family! The home is like new inside and out. There are 3 bedrooms with 2 full baths. The living room, dining room and kitchen all have brnad new hardwood floors. The kitchen has new cabinets, counters and stainless appliances. There is new carpet in the bedrooms and the bathrooms have new tile floors. The den has new carpet and is the perfect place to relax at the end of the day. The inside was painted and there are new light fixtures and windows. This home won't last long and is priced to sell at $124,900. November 18, 2009: Finished ahead of schedule this home is a gem!! The hardwoods are gorgeous throughout with lovely tiled floors in the bathrooms and laundry room. The large living room has a wood burning fireplace and the dining room is enormous! We added a half bath under the staircase for your guests to enjoy! The kitchen had a makeover and now features cherry cabinets, solid surface counters, high end stainless appliances and a black island with granite top. It's ready for the cook in your family! The home was freshly painted and the backyard received an overhaul. We added a terraced stone patio and a large parking pad for 2 cars and landscaped it to the hilt. It's a beautiful way to come home everyday! Priced at $174,900 for a FAST sale!! 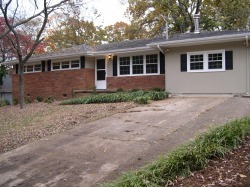 November 18, 2009: We are getting ready to renovate a great home conveniently located in Hixson just off Ely Road. This will be a great home for a family with 3 bedrooms, 2 baths and alarge backyard. It will be ready in the new year 2010! 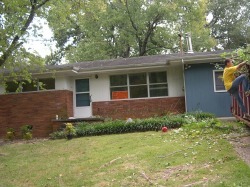 October 15, 2009: We've just purchased another home for renovation in Brainerd. 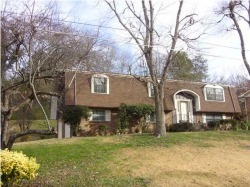 This home is located on the side of the ridge and is a beautiful 2 story brick home. 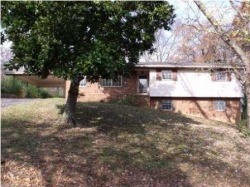 There are 4 bedrooms and hardwoods throughout. It has lots of old world charm and will be ready by December 2009. October 15, 2009: We have a new home under renovation in Harrison. 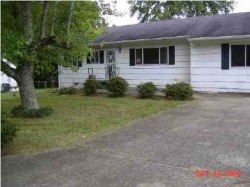 This corner lot home has a great level yard and 3 bedrooms and 2 baths. It will be ready in December 2009. October 10, 2009: It's finished! This great split foyer is ready for a new family. It's updated completely with new landscaping and a facelift on the exterior plus new windows to make it more energy effecient. The den downstairs has a fireplace and would be a great place to relax this fall & winter. Listed for $139,900. September 28, 2009: This beautiful home will not last long. The open floorplan with spacious great room, dining room and kitchen all together and with brand new hardwood flooring will delight even the most discriminating buyer. There are 3 bedrooms and 2 full baths upstairs and 2 additional bedrooms & a 3rd full bath downstairs with the laundry room and den with wet bar. There are 2 decks - upper and lower to enjoy the private backyard and a 2 car garage. This home is baautiful and will sell quickly since it's reasonably priced at $169,900. 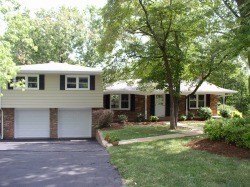 August 14, 2009: This great Middle Valley home is a split foyer with lots of space. 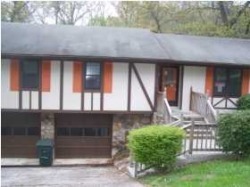 The home has 3 bedrooms, 2 baths and a great den with fireplace in the basement. It will look like a dream when the renovation is complete. It will be ready in October 2009. 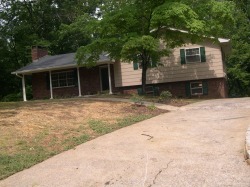 July 25, 2009: We have a new home under contract and renovations willl begin soon. In the same neighborhood as our other Brynewood property, this home will be priced under market value and look like new! July 21, 2009: It's finished and beautiful! This 3 bedroom, 2 bath home has had a total makeover. This home has great features, including: hardwood floors in almost every room, tile in the bathrooms, crown molding, vaulted dining room, living room with fireplace, tiled sunroom, brand new kitchen, great backyard with custom deck as well as large patio and an oversized 2 car garage. Priced to sell at $152,500. UPDATE: This home was under contract in less than 5 days! 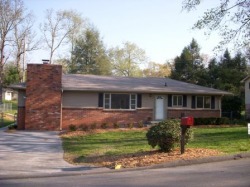 July 20, 2009: This 4 bedroom, 3 bath home with in ground pool is conveniently located in a great neighborhood in the Red Bank/Hixson area. This home features lots of NEW and has room for everyone with a formal living and dining room, sunroom and huge den. This home features 2 fireplaces, lots of tile and hardwood plus new carpet in the sunroom & bedrooms, new vinyl windows and a new kitchen! The backyard is a tropical paradise that you will look forward to coming home to. Priced to sell at $169,900. UPDATE: Home under contract in under 3 days!. July 1, 2009: We've broken ground on a custom pool house. The homeowners will enjoy their pool even more with this luxury pool house next to it. The pool house features a kitchenette with glazed maple cabinets, solid surface countertops, tiled floors, ice maker & refrigerator. The full bath boasts tile floors, glazed maple cabinets, solid surface counters with vessel sink and shower. The pools house is complete with a large storage area for all their pool equipment. Look for photos in our photo gallery after completion in early August. June 20, 2009: This home is gorgeous and ready for a new owner! Featuring 3 bedrooms, 2 full and 1 half baths, large living room, formal dining room, spacious kitchen, den with large laundry room and great level backyard. This home is priced to sell at $129,900 and will sell FAST! UPDATE: This home is SOLD - it was under contract in 1 day with multiple offers!! 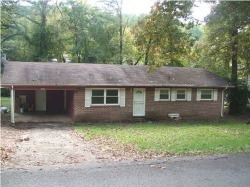 June 18, 2009: This 4 bed, 3 bath home is in need of a facelift. We're on the job and expect completion in mid July. This home is conveniently located and with the spacious open floorplan and in ground pool it will be a great place for entertaining. June 1, 2009: We've broken ground on a custom lake house. This gorgeous home is 2,700 square feet with a full unfinished basement, open floorplan and is expected to be completed by late August. May 18,2009: Another home in need or renovation. 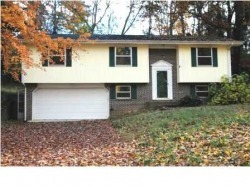 This 3 bed 2.5 bath home needs the garage returned to its prior state and a new kitchen. This project is expected to be completed by the end of July and this home will be an open, spacious and beautiful home. 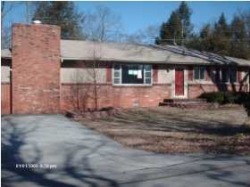 May 7, 2009: This home is in need of some updating, but is located in a great little neighborhood in Red Bank. In a few weeks this 3 bedroom 1.5 bath home will have 2 full baths and be beautifully renovated! Keep a watch out for renovation photos - they are coming soon! This home will be listed for $129,900 - call for a sneak peek today before it's officially on the market! 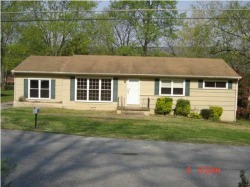 April 13, 2009: This wonderful 3 bedroom home is ready for a new family. 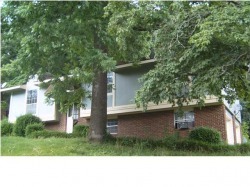 This home has beautifully refinished hardwood floors in the spacious living room as well as all 3 bedrooms and hallway. The kitchen has an eat-in area, new counters, new tile floor as well as new appliances. There are 1.5 baths with tile floors and a tiled shower. The huge den has a woodburning fireplace and is just off the kitchen near the laundry area. There are new lights, new paint, new carpet in the den and new landscaping. There is a level fenced backyard with covered patio - perfect for this warm spring weather! Priced at $114,900 it won't last long! UPDATE: This home is SOLD - it was under contract within 3 days of listing it for sale! April 1, 2009: We've begun a new project in Brandermill building a pool deck addition. This project will provide the homeowners better use of their pool with more space for chaises and a larger dining area. This addition will also help define his backyard space and keep his dogs (and the mud) away from the entertaining area. 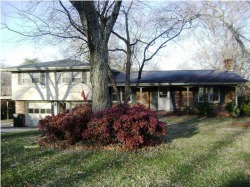 March 24, 2009: It didn't take long, now this home is SOLD! March 9, 2009: We have a new project underway at 1201 Cranbrook Drive. A cute home in need of cosmetic renovations. We plan to have it renovated in 3 weeks and available for sale. It's conveniently located off Ely Road near Hwy 1-53. March 1, 2009: The renovations on this home are complete and it's a beauty! 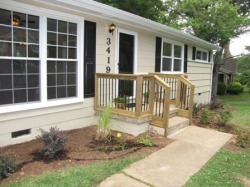 This lovely home features: refinished hardwood floors; new vinyl siding; new windows; new garage door; new kitchen with cabinets, counters and appliances; 3 great bedrooms; 2 full baths; formal dining room; level fenced yard and single car garage. February 11, 2009: We've just started a new renovation in East Ridge. 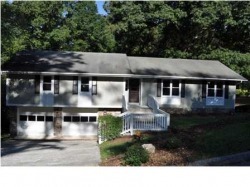 This home will have 3 bedrooms with 2 full baths and approximately 1,200 square feet. 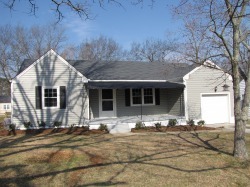 There are hardwood floors throughout and the home will have new vinyl siding, shutters, garage door & landscaping. It's going to be a cutie when it's finished and priced to sell FAST around $115,000. Watch the renovation in our photo gallery with new photos coming soon! 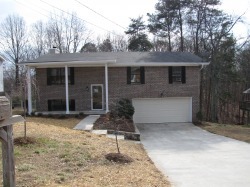 For more information about purchasing this home you can contact us via our Contact Us page or you may call Karen Riede with Realty Executives Chattanooga at 423-322-8525 or 423-894-3050. February 9, 2009: The renovations are complete on 9208 River Oaks Road. This lovely home in River Oaks subdivision in Harrison is 1,781 sq. ft. with 3 bedrooms & 2 full baths. 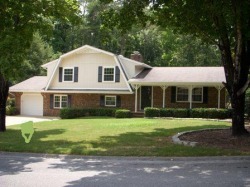 The home is a split foyer with open living room, large eat-in kitchen with sunroom, huge deck for entertaining outside, den with built-in cabinets, double garage and wonderful yard. Photos are available in our project gallery OR you can view the public listing here. January 5, 2009: Another great home is under renovation. It needs a lot of work, but it will be a beauty when it's finished. This 1,556 sq. ft. home has 3 bedrooms and 2 full baths. 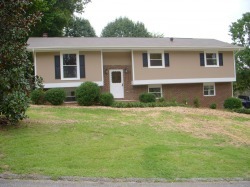 It sits on a great lot and is conveniently located near Corridor J in Hixson. Watch the photo gallery for before/after pictures. December 31, 2008: This 3 bed/ 1.5 bath home is under renovation. It will have 2 full baths after renovation and be like new inside and out! Watch our photo gallery for before/after photos. Well, we know that these homes go fast and this was no exception. This one sold in 1 day! On to the next project...new homes coming soon! November 13, 2008: The renovations on our most recent home purchase are complete. The home went on the market for sale today at $127,000. It has 3 bedrooms and 2 full baths. The home looks brand new inside and out - some of the features include: extensive hardwood and tile throughout along with new cabinets, counters, paint, lights, heat and air, windows and more! Be sure to look at the photos in our gallery. You can view the public listing here. 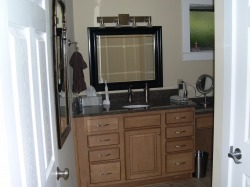 October 25, 2008: The bathroom remodel we did for the Schwartz family is now complete! The bathroom is functional yet elegant. With new walls, floor, vanities, shower, lights and paint the bathroom is spectacular. The project grew and grew while we were there to include valences for the hallway lights and a handrail down the long hallway. The master bedroom got a makeover as well with new hardwood flooors, paint, blinds and valences. Photos are in the Gallery for viewing, more of them to come soon! October 15, 2008: We have just purchased a home for renovation in the Red Bank/N. Chattanooga area. It is located near Ashland Terrace off Thrushwood Drive. It's 1500 sq feet with 3 bedrooms & 2 baths and it's going to be a beauty. 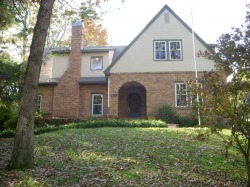 If you're interested in purchasing it, Call Karen Riede with Realty Executives Chattanooga at 423.894.3050. 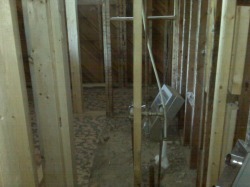 September 25, 2008: We have just started a bathroom remodel for the Schwartz family. After surgery, Hal will need a handicap accessible bathroom and we're transforming his bathroom into a spacious and accessible space. With the renovation starting we have all the plans for a large walk in shower (without a lip) complete with assorted jets and hand held sprayer, handicap height commode with grab bars, new higher vanities, storage and even a bench to aid in dressing. This will be a gorgeous and functional renovation when completed. August 30, 2008: We're building another custom home in Sedman Hills! The purchasers are moving from the cold winters in Michigan down to the warmer southern climate. This one level home has an open floor plan with all the features a retired couple could want in a home that will be comfortable and functional. Completion expected by the end of November. 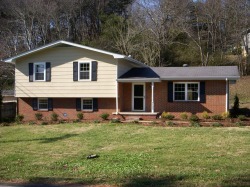 UPDATE: Nov. 6, 2008: This home is completed, check it out in the photo gallery! August 30, 2008: We have just started construction of a custom home in Sedman Hills. The purchasers are local and have chosen a spacious single level floor plan and a lovely lot. Construction should be complete by the end of November. October 10, 2008: UPDATE! The home is nearing completeion a full month ahead of schedule! Take a look a the photo gallery for some photos! August 25, 2008: This homes has just been renovated and is now for sale. There are approx. 2,300 square feet with 4 bedrooms & 3 baths. There are hardwoods throught the main and upper levels with new carpet downstairs. The spacious kitchen has a tiled floor & backsplash with new counters and clean steel appliances. The large living and formal fining rooms offer a great space for entertaining. The bedrooms adn bathrooms have been overhauled and features new vanities, refinished hardwood, new tile and light fixtures. The basement has a den that could be a 5th bedroom, 3 full tiled baths and a large laundry/mud room with access to the back yard. There is also a huge dry storage area for those seasonal decorations. This will sell fast, so come check it out soon! Call Karen Riede with Realty Executives Chattanooga for a personal tour at 423-894-3050. 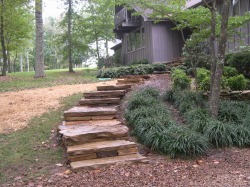 This project on Signal Mountain was to build a stone sidewalk leading to the existing front porch and build a new stone patio in the rear of the home. The results are amazing!